Membership of Melbourne University Athletic Club provides you with a unique range of competitive, training and social opportunities. Automatic membership of Athletics Victoria, the governing body of track and field in Victoria. No other athletics club can provide this combination of added value services. Click here to join MUAC now! 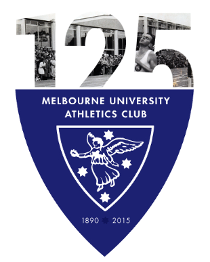 In an era of thriving suburban clubs, Melbourne University Athletic Club was originally set up in the nineteenth century for students and staff of the University who may no longer have had access to their home clubs. Today, the suburban club is largely a thing of the past and MUAC has opened its membership to the entire community. MUAC membership and Athletics Victoria registration for the 2019/20 year has a new-ish structure, that allows you to tailor your registration. 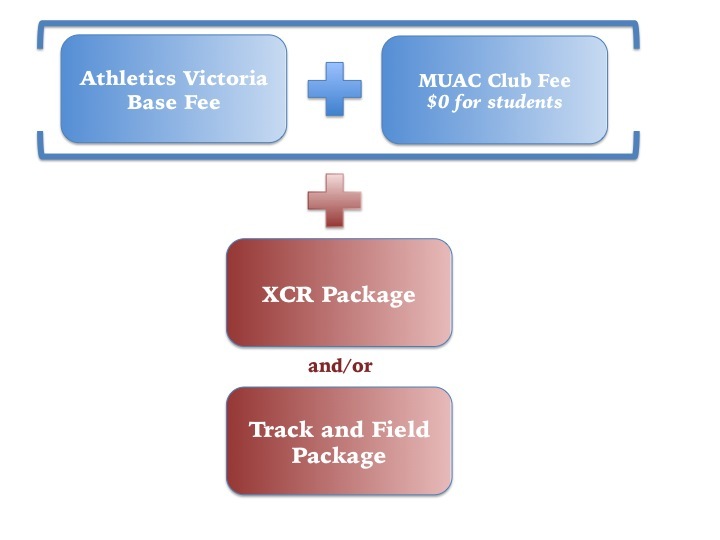 Along with the Athletics Victoria Base Fee and the MUAC Membership Fee, you’ll be able to select either the XCR package, the Track and Field Package or both. XCR Package: All six individual races in the XCR’19 season. Track and Field Package: 12 rounds of AV Shield and the AV Shield Final. With the generous support of the Clyde Hotel, MUAC Tertiary Student members pay only the AV registration fees. The Clyde Hotel, Official Supporter of MUAC Student Membership, pays the club membership fee. The fee covers registration with Athletics Victoria. This includes most competition fees and insurance (other than individual cross country race fees). Membership and registration is now open for the 2019/20 athletic year. It’s now registration time. This year I want all registrations from all squads in by the end of April. This early deadline will really help me, and will also ensure that you are covered by the excellent Melbourne University Sport insurance, which is necessary for all club members. So please get yours in early. If you have cashflow problems and the fees will be a problem, please contact me, and we can easily organise a monthly payment system. 2019/20 membership renewals are now open. We have an online membership system. To join, click here. The ‘Student’ and ‘University Student’ categories will become available once you’ve selected ‘Athlete’ and MUAC as your club. Please email registrar@muac.org.au if you have any questions about the application process. Aside from your annual membership fee, your only other costs may include uniforms, winter season race entries and State and National Championship entries (if qualified). These costs compare favourably with nearly all other participation sports, making athletics one of the most inexpensive – and rewarding – pastimes.